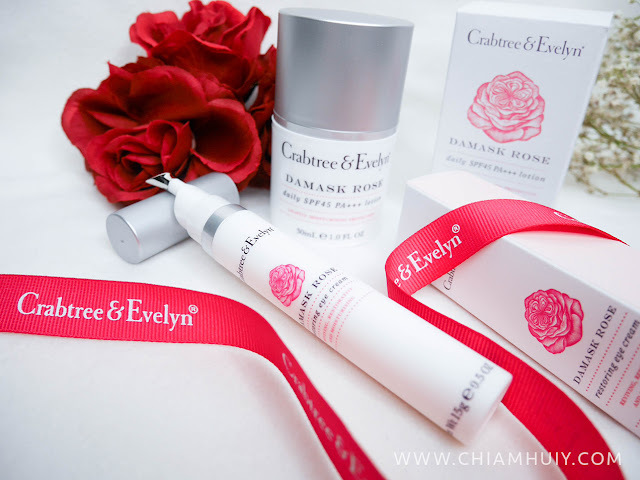 The new Damask Rose Restoring Eye Cream (S$50) from Crabtree & Evelyn contains a blend of French Damask Rose, hyaluronic acid and Macadamia Oil to fully moisturise and give a cooling effect to our tired puffy eyes. 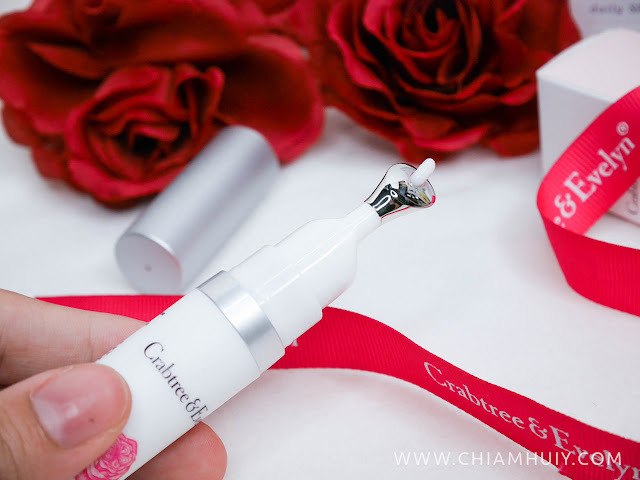 As you can tell, the eye cream comes with a metal applicator which is shaped like a concave. 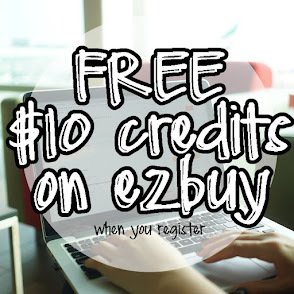 The eye cream is made to easily dispense a small amount of eye cream by softly pressing the back of the tube. Then through the metal applicator, dab a few dots of the eye cream on your eye areas followed by gently sweeping the cream under the eye using the metal applicator. Though not mentioned, I still use my ring fingers to lightly tap my under eye for better absorption. What I like about the metal applicator is the fact that it gives an instant cooling effect. You know how beauty tricks like using a cold metal spoon can de-puff your eyes? I'm seeing this as a similar effect. 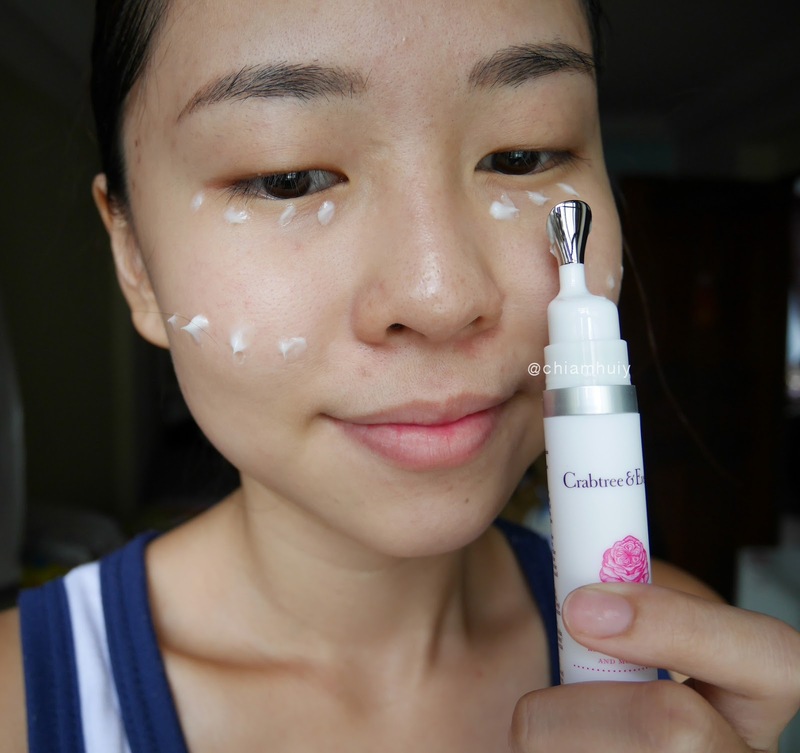 Moving on is the Crabtree & Evelyn Damask Rose Daily SPF45 PA+++ Lotion (30ml/S$45). I've always liked having my daily moisturiser to come with sun protection factor. 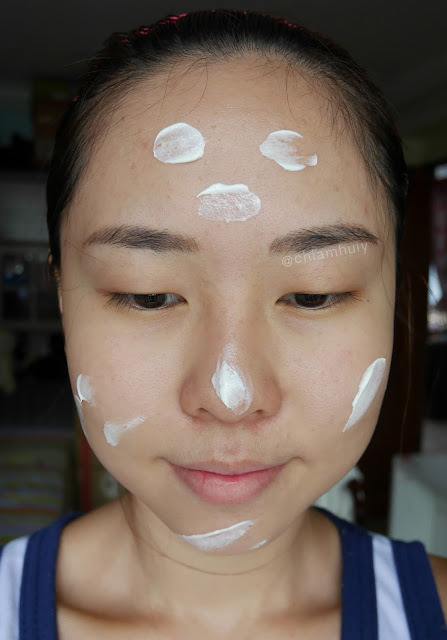 As much as I know that the SPF factor found in moisturiser is different from that of a sunscreen, I still like to think that it's a double protection against the merciless sun UV rays. Plus, a SPF45 factor is quite high, which makes me feel very assured that my skin is well-protected. Sometimes I do forget to apply sunscreen after my daily regime cos I was rushing, so this is doing the minimum protection for me. 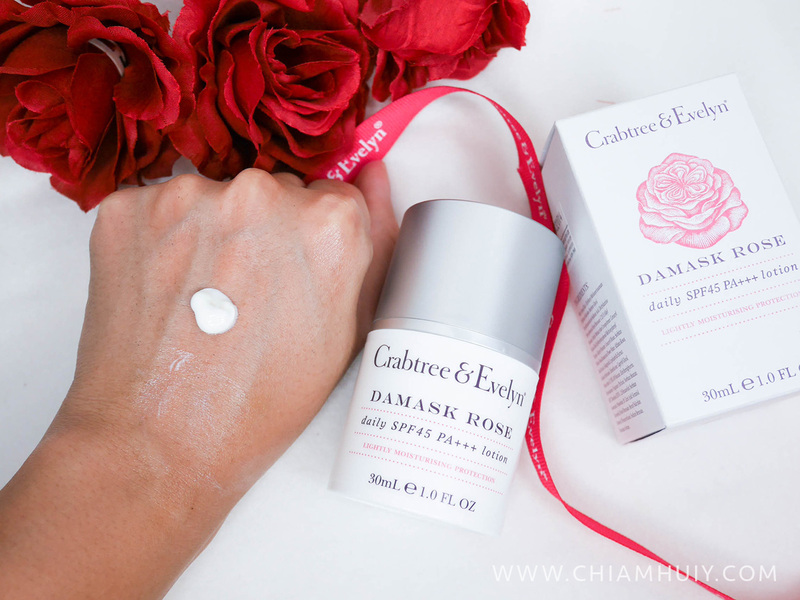 Crabtree & Evelyn Damask Rose Daily SPF45 PA+++ Lotion is a lightweight moisturiser but surprisingly very smooth too. It glides on very easily across my skin, leaving a layer of protection. I wouldn't say it's extremely lightweight because it still feels quite greasy for the first few mins. It takes time for the moisturiser to get absorbed and leave a less greasy texture. Either way, for someone with a combination skin, I don't find this worrying or affecting my skin as the time passes by. I only have to pump one or the most twice to adequately apply my whole face. This small amount is good enough. The moisturiser comes with Rose of Jericho, which is known to revive the skin and brings long lasting hydration. I find this quite true because I can use this product alone and my skin doesn't feel too dry at all. I have a very dry U-zone area so I'm quite particular about feeling hydrated for my skin.